Winter is here, and whether you’re a new arrival or long-time resident of Lehigh Valley, you probably know what this means: it’s ski season! As the temperatures have dropped, ski resorts across the Northeast have been hard at work making snow and clearing trails. Because of our unusually short winter season last year, residents and visitors alike are clamoring to grab their skis and hit the slopes. For outdoor enthusiasts, ski season is hands down one of the most exciting times of the year, and our team of Lehigh Valley movers boasts its fair share of skiers. If you’re wondering where to ski for a day or stay for a week, check out our team’s local recommendations for this winter season. Blue Mountain Resort sits on one of the most beautiful—and popular—mountains in greater Lehigh Valley. The resort opened for skiing and snowboarding in mid-December and has seven trails and four lifts. Thrill seekers will enjoy the fact that it boasts the highest vertical in Pennsylvania. Shawnee Mountain, which has a wide selection of trails for beginners and young members of the family, opened in mid-December and has 23 trails when fully operational. For extra family fun, check out Shawnee’s exceptional snow tubing park. Jack Frost and Big Boulder originally began as two separate slopes, but today they operate as companion resorts and offer some of the most enjoyable skiing in the area. Together, they have up to 35 trails and 17 lifts. If you’re interested in a season pass, the Peak Pass is a good deal as it gives access to 7 ski resorts across the Northeast. Camelback Mountain opened for winter season on December 15 and has earned the title of World’s Largest Snowtubing Park. Unlike many other resorts, Camelback Mountain actually stays open all year; in warmer months, the park offers its mountain coaster and zipline attractions. For an unforgettable experience, try skiing at night on the park’s lit trails. 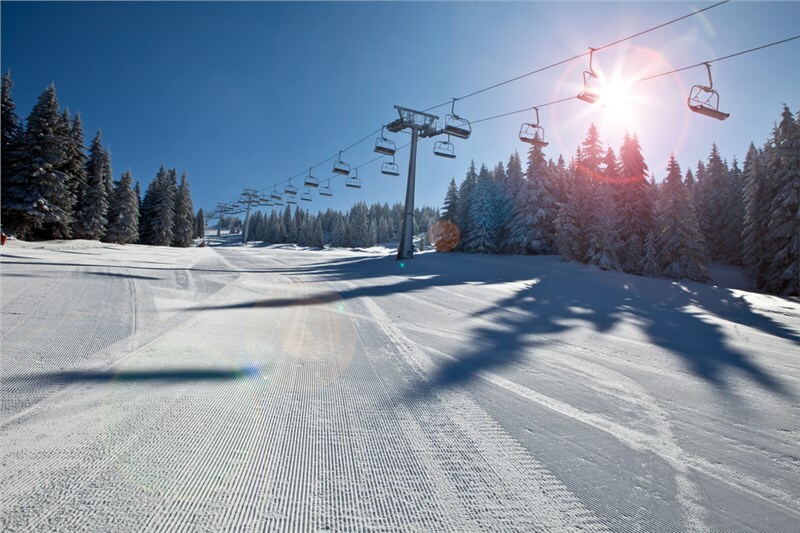 Last but not least, Bear Creek Mountain Resort is one that’s definitely not to be missed. The only one of these resorts located within Lehigh Valley itself, Bear Creek has over 20 trails and sits on more than 300 acres of land. The resort’s spa and restaurants are world-class, with indoor pools, hot tubs, seasonal menus, and stunning mountainside views. Need Some Help Getting Here? Count on our Lehigh Valley Movers! If you’re making a move to Lehigh Valley this winter, you’re lucky to be coming during one of the most enjoyable times of the year. Moving during winter does have it challenges, though. Instead of facing them alone, you can count on the expert movers, packers, and drivers at O'Brien's Moving and Storage, the most trusted moving company in Lehigh Valley. But we’re more than just a Lehigh Valley moving company—if you’re just here for the ski season, we also offer short-term storage that’s perfect for skis, boots, bindings, and poles. To learn more about our residential moving or storage services, give us a call today! To get started with more information now, complete our simple online form to request your free quote.